I have Xamarin Studio, and I need to specify the Android SDK Location. I have previously had Xamarin Studio working on my pc, and for some reason, I need to enter this again. This location has platform-tools and other SDK folders. Why is this not working, and what should I do? I hope these screenshots can help you out. Android Studio 3.1 update, some of the icon images have changed. Click this icon in Android Studio. The Android SDK path is usually C:\Users\<username>\AppData\Local\Android\sdk. Try to open the Android Sdk manager and the path would be displayed on the status bar. Note : you should not use Program Files path to install Android Studio due to the space in path ! The question doesn't seem to require a programmatic solution, but my Google search brought me here anyway. Here's my C# attempt at detecting where the SDK is installed, based on the most common installation paths. I need this because I'm writing an extension to a C# program to work with Android Studio/Gradle. Hopefully someone else will find this approach useful. If you can run the "sdkmanager" from the command line, then running sdkmanager --verbose --list will reveal the paths it checks. P.S. On another PC I let the Android Studio install the Android SDK for me, and the SDK ended up in C:\Users\MyUsername\AppData\Local\Android\Sdk. Have you tried to find this folder via the Windows explorer? Can it been seen? Maybe the folder is hidden (by default install - it is hidden by the Windows operating system in the users folder). Just check that you can view hidden folders in Windows explorer (by the settings in the windows control panel > appearance and personalization > folder options > show hidden files and folders. 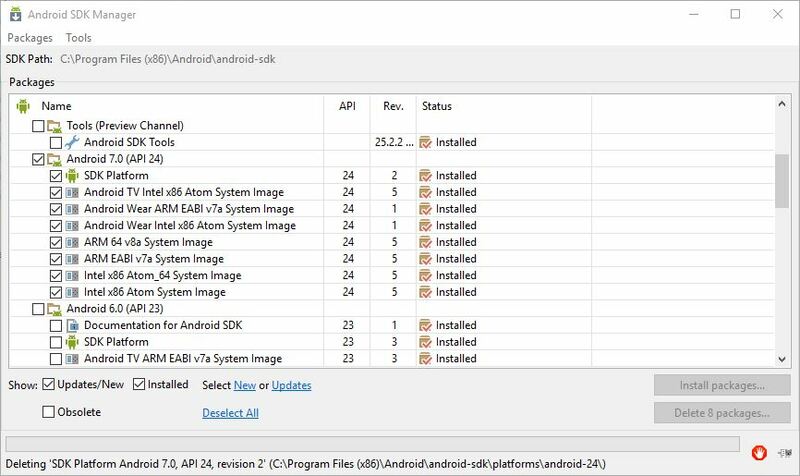 This happened to me as the Windows OS could not find the SDK folder which was required for the Android Studio SDK path, and was resolved by showing hidden files and folders, which enabled me to complete the default SDK install path location. 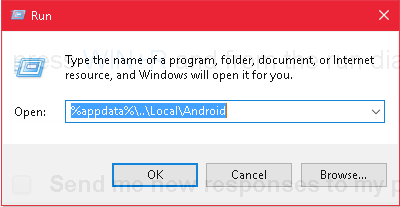 If you have downloaded sdk manager zip (from https://developer.android.com/studio/#downloads), then you have Android SDK Location as root of the extracted folder. So silly, But it took time for me as a beginner. You should now be presented with Folder Explorer displaying the parent directory of the SDK. I found it here C:\Users\username\AppData\Local\Android\sdk . Not the answer you're looking for? Browse other questions tagged android sdk xamarin-studio or ask your own question. What is the default Android SDK path used by Android Studio? Where can I find default AlertDialog layout xml file?